Machine failure, which is typically the result of incorrect installation and maintenance of components and equipment rather than normal wear and tear, is often due to shafts being misaligned, rotating parts being incorrectly balanced or an inappropriate frequency and/or type of lubrication. However, these common problems can be easily prevented by using appropriate testing and maintenance equipment, such as alignment tools and automatic lubricators, and by applying advanced, but not necessarily expensive, condition monitoring tools. 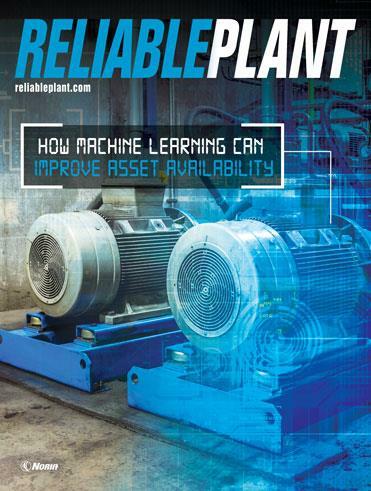 Condition monitoring is a powerful solution that enables efficient predictive maintenance. The long-term reliability of countless manufacturing and process systems depend on it. Monitoring devices allow plant operators to react swiftly to impending failures within the system. Therefore, an effective condition monitoring regime is an essential part of any machine maintenance program. Within the field of condition monitoring, most engineers would agree that the most important procedure is vibration monitoring. 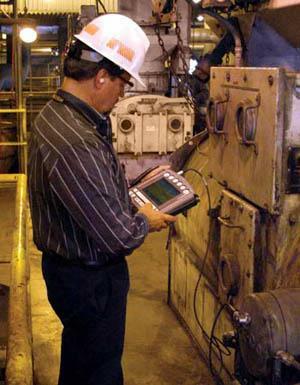 Vibration monitoring is firmly established as a key tool for plant and equipment maintenance. For example, in some circumstances where vibration is carefully monitored, it is possible to extend operating life beyond recommended maintenance intervals, while in others the detection of a rapid increase in vibration can help avoid catastrophic failure. Providing the capability to detect fractional changes in the operation of rotating components via vibration monitoring is one of the most effective preventive maintenance measures an engineer can take. Increases in vibration indicate deteriorating operating conditions, such as wear or misalignment. Vibration sensors, also known as accelerometers, can quickly identify these changes with exceptional accuracy. Accelerometers can be used as either in-line or hand-held instruments and are increasingly easy to install and use. Today's accelerometers are robust and reliable devices with stainless-steel sensor housings that prevent the ingress of moisture, dust, oils and other contaminants. They also have the capability to operate over a wide temperature range, measuring high and low frequencies with excellent accuracy. There are two main categories of vibration sensors or accelerometers: AC accelerometers and 4-20-milliampere (mA) accelerometers. AC accelerometers are typically used with data collectors for monitoring the condition of higher value assets, while 4-20 mA components are commonly used with programmable logic controllers (PLCs) to measure lower value assets, such as motors, fans and pumps. Modern vibration sensors and associated equipment can address the specific needs of many applications and are built to withstand challenging conditions within a range of industries. For example, certain AC sensors can provide an ideal monitoring solution in the food and beverage industry, as the enclosures meet strict hygiene standards while the technology within offers the right capability for measurement. Additional options are available for vibration monitoring at low speeds, where the signals generated by bearings are harder to detect. The potential uses of condition monitoring are expanding because many devices are now sealed to a high ingress protection rating, which allows their use both indoors or outdoors in contaminated conditions. Sensors sealed to the highest ingress protection ratings enable monitoring in a wide range of applications, including pulp and paper, power, food and beverage, hydrocarbon processing, oil and gas, machine tool, as well as heating, ventilation and air conditioning (HVAC). A vibration sensor has been compared to a car's "check engine" warning light, prompting the predictive maintenance technician to perform root cause analysis on the machine to determine what kind of problem might be affecting its performance. If the engineers ignore the warnings in order to continue production, the eventual costs of unplanned downtime and major repairs will far exceed those that would have been caused by a short, planned period of preventive maintenance. 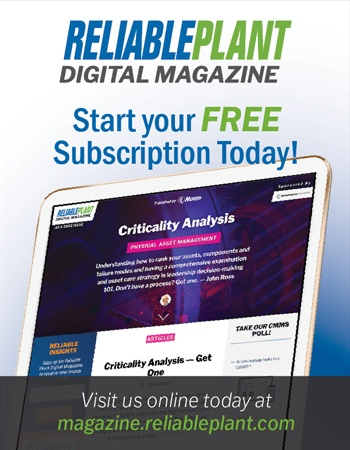 By utilizing these tools, plant operators can increase efficiency by enabling maintenance engineers to spend more time focusing on other duties that will boost profitability for the business, as opposed to carrying out maintenance schedules on non-critical machines at frequent intervals. A good vibration monitoring system allows operators in the manufacturing and process industries and beyond to keep semi-critical machine assets up and running. Machine failure can have a massively detrimental effect on production lines because even the failure of one component can hold up the whole line. While vibration monitoring is a powerful tool wherever it is installed, it is even more valuable in preventing downtime in production lines that include any kind of bottleneck. The development of vibration monitoring equipment has been driven primarily by the changing needs of its customers around the world. Among the industrialized economies, there has been a steady move in recent years from reactive to predictive maintenance. This is now evolving into a far more strategic approach that is effectively process-wide, encompassing every stage in the production process in a bid to maximize uptime and productivity while reducing operating costs. Sensors are an essential part of this process.